Tether continues to be wild. They pumped $5m into the USDT price on Kraken last week! … which was promptly cashed out. They’ve admitted to banking with Deltec (the real one) … releasing a remarkably detail-free letter from their bank saying “the portfolio cash value of your account with our bank was US$1,831,322,828.” Unfortunately, Deltec refuses to confirm or deny that the letter is real — let alone whether that $1.8b is cash or … assets. And yesterday, USDT achieved parity with the US dollar! … after pulling 1.1 billion USDT from the supply. When number goes down, the true believers turn on each other — the Winklevosses sue Charlie Shrem. HTC has introduced an overpriced “blockchain” phone, the Exodus. Ideological cryptocurrency people will hate it, and normal people will go “how much? 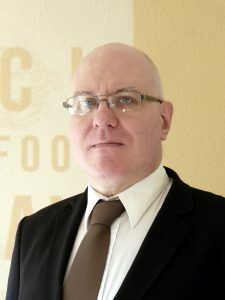 !” They seem to be targeting the remaining optimists that Bitcoin will definitely go to the moon again by the end of the year next year. You can buy it for bitcoins or ether! Bitcoin continues to foster creativity amongst innovative entrepreneurs and captains of industry, who aren’t afraid to think outside the box! … and threaten Amsterdam coffeeshops with bullets and grenades. Fortunately, ignoring these idiots seems to have worked so far. Hong Kong will be better regulating its cryptocurrency industry — probably via a regulatory “sandbox,” the new term for temporary approval for experimental financial products. The rules will be similar to those for automated trading. And only professional investors will be allowed. The Financial Conduct Authority in the UK is soft-pedaling on crypto — because there’s enough Members of Parliament who’ve got into “blockchain” that the Financial Times has a whole series just on them, and the FCA don’t want to rule out any possible banana-republic financial scam we could live off in the event Brexit goes full CASE NIGHTMARE GAMMON and we’re all living on braised rat under a bridge. They’re going to … launch a consultation on whether to prohibit the sale of crypto derivatives to retail investors. In the first quarter of next year. The international Financial Action Task Force, however, is establishing that all countries must supervise and monitor crypto exchanges and wallet providers (archive). Finance Magnates does a nice writeup of the MapleChange exchange’s exit scam hack. After the bubble, we’re seeing ICO winners with lots of money — and no idea what to do with it — buying other companies. There’s a danger they’ll trash actually-useful ones, but so far they’ve been sticking to companies as delusional as crypto maximalists — Consensys just bought an asteroid mining hopeful. “Bringing deep space capabilities into the ConsenSys ecosystem reflects our belief in the potential for Ethereum to help humanity craft new societal rule systems through automated trust and guaranteed execution.” Possibly by being pushed out of an airlock. When moon? Bitcoiners keep trying and failing to build Galt’s Gulch, But On The Blockchain. Crypto winner Jeffrey Berns bought 67,000 acres of desert in Nevada for $170 million, and will build a blockchain-based paradise. “If we can get enough people to trust the blockchain, we can begin to change all the systems we operate by.” I’m sure it will all work out just fine, fine. See also: How to Not Destroy Millions in Smart Contracts — a survey of exploited Ethereum dapps. There’s a new study in Nature Climate Change, “Bitcoin emissions alone could push global warming above 2°C” (archive PDF) — on why Proof-of-Work is hideously terrible — which is getting lots of public attention, and upsetting Bitcoin advocates. I may post at length on it later. 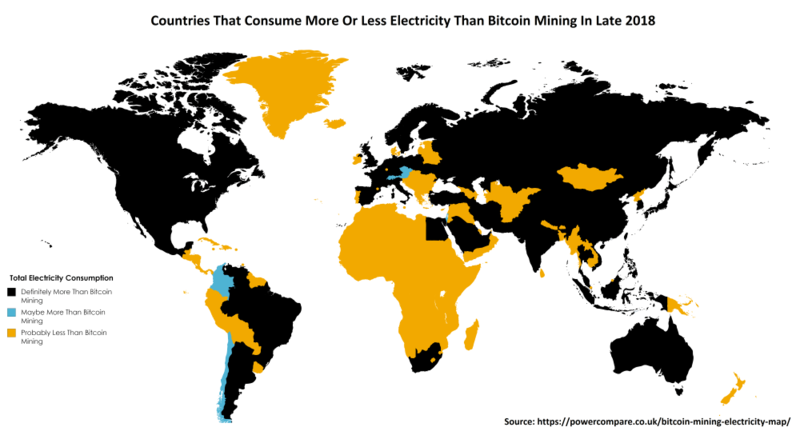 Here’s an infographic site: Countries That Consume More Or Less Electricity Than Bitcoin Mining In Late 2018. Numbers from Digiconomist. Stephen Palley and Nelson Rosario have an excellent new column in The Block — Crypto Caselaw Minute. This week’s covers Berk v. Coinbase (whether the BCH listing was market manipulation), SEC v. Blockvest (the one that used the SEC and CFTC logos on its website) and Alibaba Group Holdings v. AlibabaCoin Foundation (don’t abuse our trademarked company name). FT Alphaville: Crypto conferences ain’t what they used to be. Looks like I’m still the go-to Initiative Q expert — the estimable Frank Chung at news.com.au got a quote from me, and Digital Spy are just one of many to hit my blog posts on the subject. 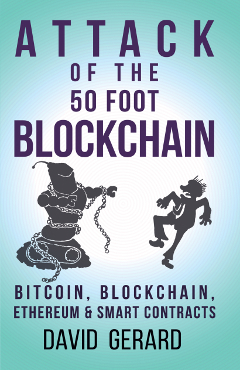 Paladinus from SomethingAwful reads from the first chapter of Attack of the 50 Foot Blockchain. This is unlikely to become an official audiobook. you scoff, but the only way to get to the moon is through outer space — checkmate no-coiners!